“What does one wear to a rodeo?” I regretfully had to ask ask myself tonight. (P.S. I am not a fan of rodeos, I just am not. I have been to many, never loved them. They are tied in with emotional complications in the deep webs of my brain. I also don’t like the way animals are used in the sport.) I do respect the difficulty of the sport and the beauty of hard work put into them. (My extended family are rodeo participants.) A small town girl like me, you think it would be part of my blood, but it is not. When I was told about “Singles Night at the Lehi round up”, I was the biggest hater. (Gag me with a spoon, singles activities and rodeos, no thanks.) My darling friend was so excited. She raised her had in excitement to sign up. I turned to her and said, “Look around P-dizzle none of your friends are going. Are you still so sure you want to go alone?” (I know I am a tad rude. Tad as in baby frog sized rude.) I vowed not to go, yet I went. Because that is what friends do when one friend really wants to do something and you love that friend. We all went, our little clan of friends. We all cowgirls up, and I hate to say it; a good time was had by all. 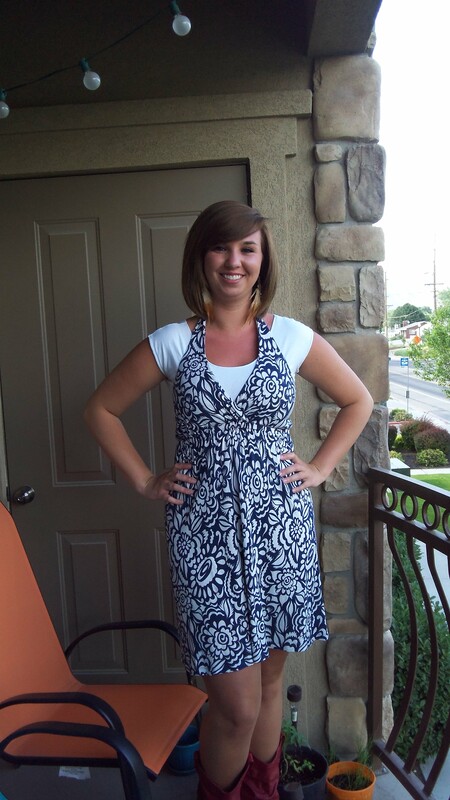 Darling Paisley with her red boots, cute hair style, feather earrings, white tee, blue sun dress, and Florida tan. This one is awesome!! She is on the go like the outfits. Skinny capris, supper cute flats, dangle earrings, big blue purse, blue collared shirt, blazer, and yes the fedora. My sister was rocking one today, a fedora. 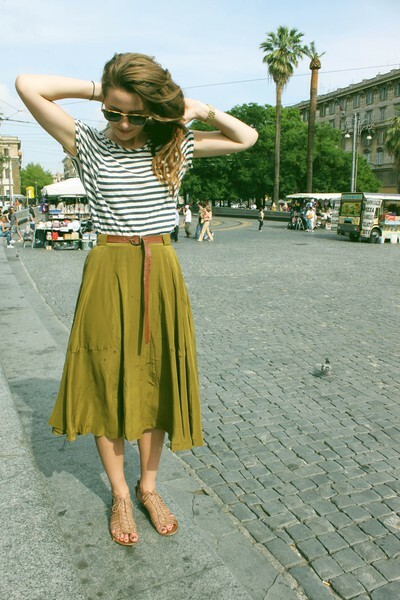 This striped shirt and skirt!! Paired up with these laced gladiator sandals and aviator glasses and this loose french braid and a belt, this skirt and awesome stripped shirt are awesome. Speaking of french braid, is she in France, Spain, Argentina maybe? I would wear this in France. Heck I would wear this anywhere. A first date maybe… Where could I not wear this? Okay there bight not be some place I couldn’t but so many places where I could!! Please I need to dress like this. I love the combination of this plain white tee and the flowery skirt with the long layers. I love the look of it. Matched up with those heels and this clutch. Please why can’t I wear things like this? I can. I will. I’ll wear it my worship services and on the harbor like this lady.